Auto Development Policy 2016-21 is found useful for local auto industry as various automakers started the manufacturing of the new vehicles in the country with the provision of new incentives under this auto policy of the government. 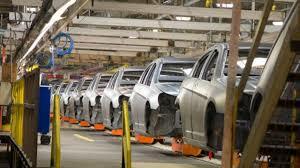 Various local automobile makers including Kia, Renault or Hyundai prepared to enter in the local market and they got the status of Greenfield and brownfield status by the authorities and now the government has given them the category A Greenfield status to the two new automakers including Topsun Motors and Pak China Motors. 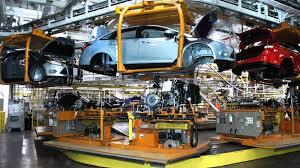 They set up their assembly and started manufacturing in the country to produce quality vehicles. The auto companies received the Greenfield status raised to 10 in total and they are operating in Punjab. It is committed to expand the services across Pakistan and Pak China Motors has the same registered addresses as the Karakoram motors. The Greenfield status has been granted to the companies under the condition that the companies will follow the rules and regulations, which are set by the government under auto policy 2016-21. You can define the Greenfield investment as the installation of the new and independent automotive assembly and manufacture the facilities by the investor to produce the vehicles, which are not assembled / manufactured in Pakistan. • The existing motorcycle industry policy is approved by the government and it is notified by the FBR under SRO 939(i)/2013 and SRO 940(i)/2013 will continue. Thanks a lot for sharing the status of this automaking with us. I know a few people who are doing https://www.assignmentmasters.co.uk/ reviews work right now, and they are pleased the information about all this stuff was shared here. Thank you, once again. fluorescent lamps which are cool to touch..
the urge to ponder, shouldn't something be said about the other side? certainly will suggest this site! good post can become a proper basis for such people. cheers! site. Could you let me know which theme are you using? Or was it custom made? impressed with this website , rattling I am a fan . experiencing problem with ur rss . Don’t know why Struggle to sign up to it. prospect. Now i am quite pleased within this guidance.